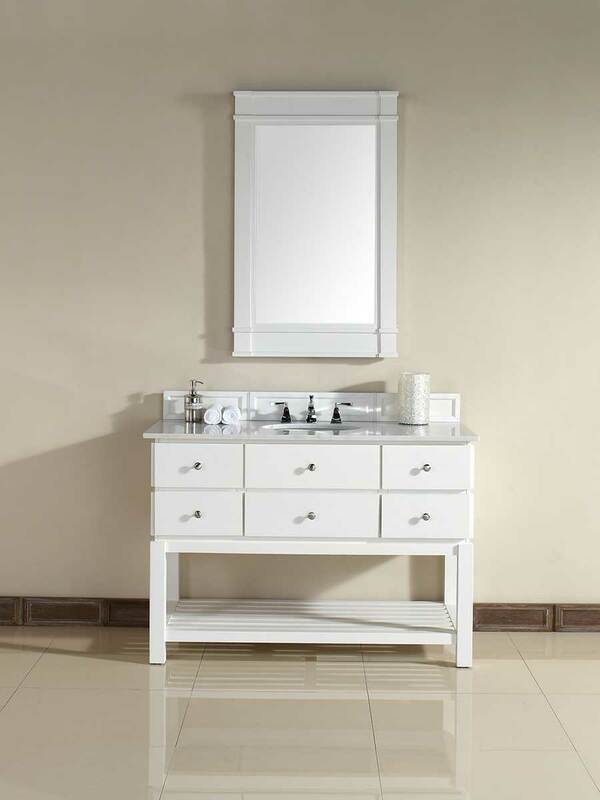 The 48" Andover Single Bath Vanity in Pure White offers a modern, yet classic appeal for any sized bathroom. 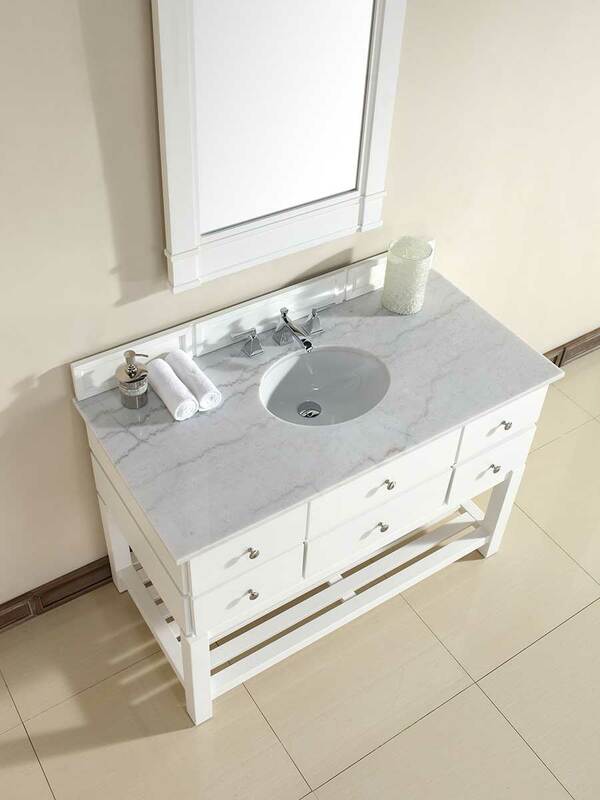 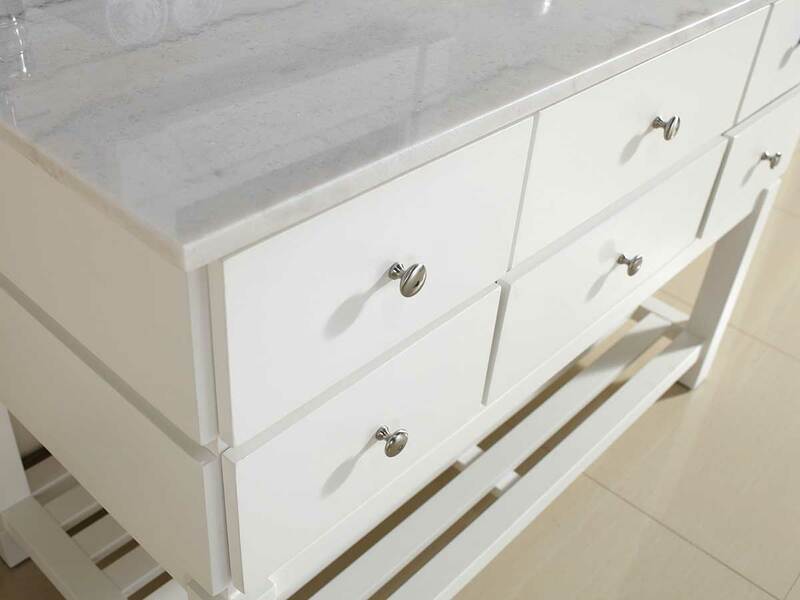 Featuring a crisp, bright look, this vanity boasts a Guangxi White Marble top that's matched with a white porcelain undermount sink and Pure White finished cabinet. 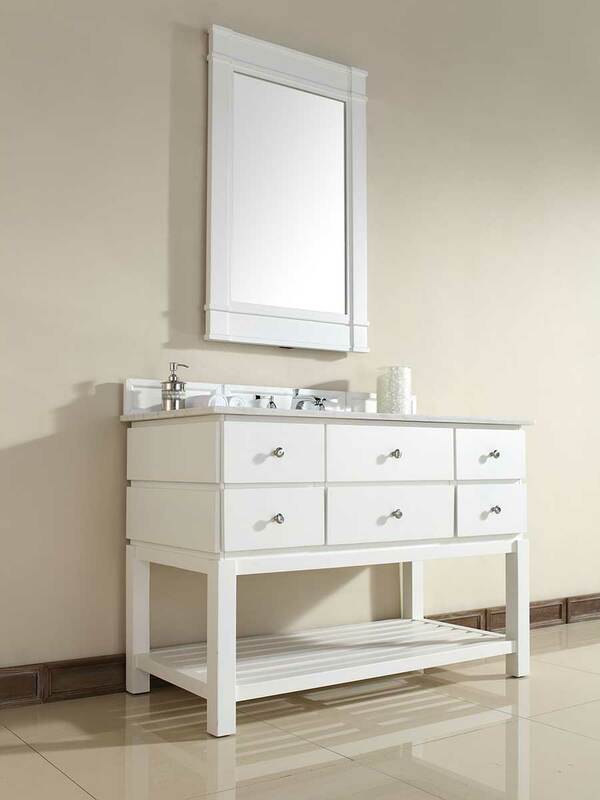 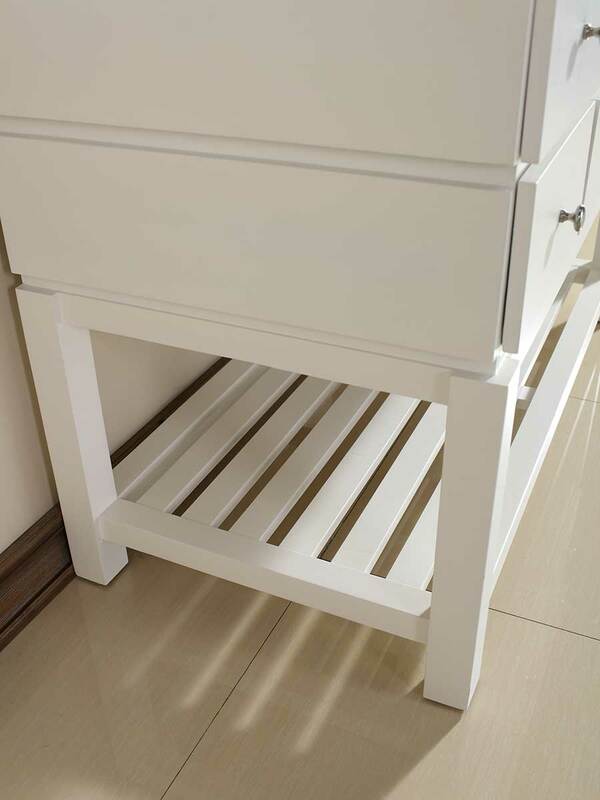 The cabinet itself has five fully-functional drawers with Satin Nickel hardware and a lower towel shelf that's perfect for displaying your favorite towels. 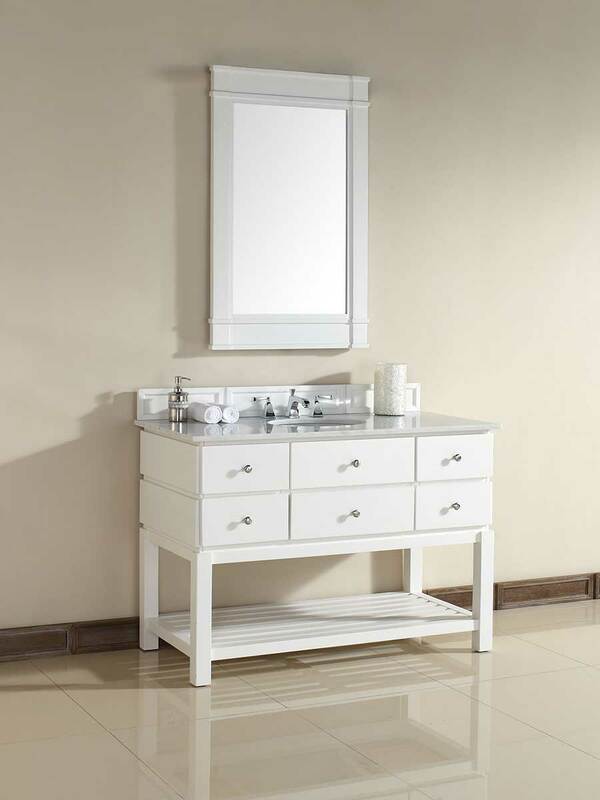 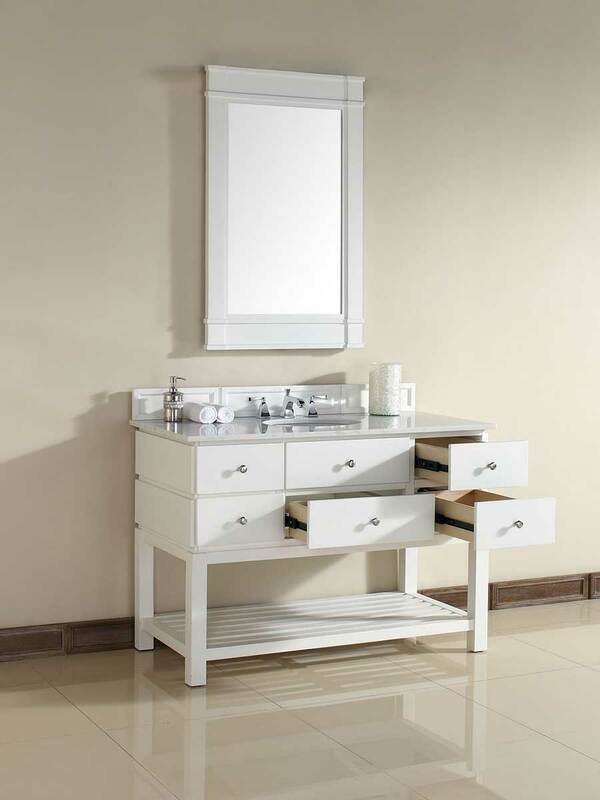 Make the most of your bathroom with this stunning bathroom vanity.